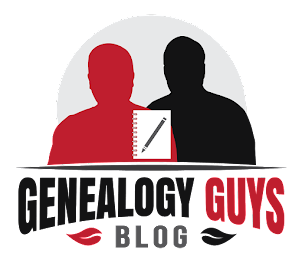 In several previous posts, I discussed how I am focused on the research goal of identifying the mother of my great-grandmother, Elizabeth "Bettie" Foshee, who married Robert B. King and lived in Laurens County, South Carolina. The difficulty revolves the fact that she is essentially impossible to find prior to the 1880 census. 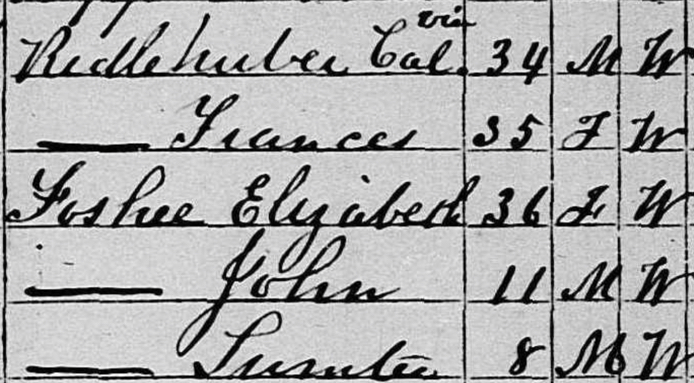 In that census, there is also a 12-year-old William Fooshee in the household. Her brother? But let's go at this from a different perspective. In the 1920 census for Moon Township in Newberry County, South Carolina, my maternal grandparents George Washington Martin and Elizabeth "Lizzie" Estelle King are living with their 6 oldest children (my mother wasn't born until December of that year), plus 75-year-old widow Gemima E. Forshee, listed as an "aunt". Yet so far as I know, my grandfather's father was an only child, and none of his mother's sisters or half-sisters married a Fo(r)shee. 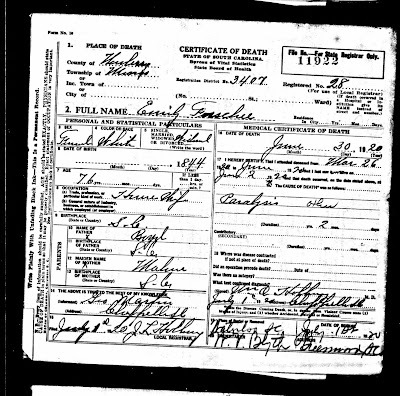 Given that I know that grandmother's mother was a Foshee, the only reasonable conclusion is that it is my grandmother's aunt by marriage, the widow of a brother to Elizabeth Foshee. So who was Gemima E. Fo(r)shee married to? 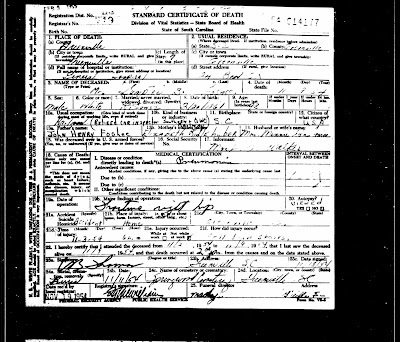 The South Carolina death certificate for a Sumpter B. Foshee proves interesting. 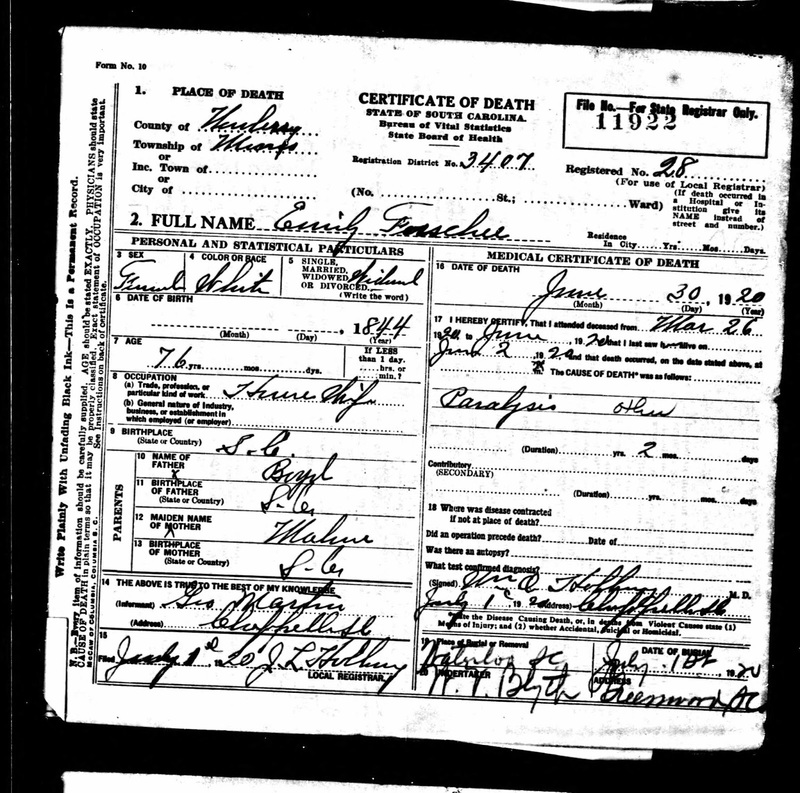 He was born in 1861 and the certificate identifies his parents as John Henry Foshee and Elizabeth Ridlehuber. Could Elizabeth Ridlehuber Foshee be the mysterious Mrs. Gemima E. Forshee? Is there a connection between Elizabeth Ridlehuber Foshee and Moon Township? The 1870 Moon Township census strongly points to it. 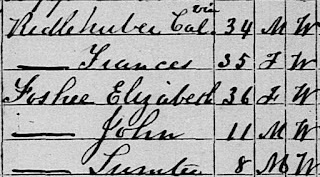 In that census 36-year-old Elizabeth Foshee is living with her two sons John and Sumter in the home of 34-year-old Calvin Ridlehuber and 35-year-old Frances (presumably Calvin's wife). It would be reasonable to conclude that Calvin is Elizabeth's brother. Where is John Henry Foshee, Elizabeth's husband? Here was Emily "Forschee", dying on June 30, 1920, in Moon Township in Newberry County, at the age of 76. And the informant is George Martin, who is almost certainly my grandfather. 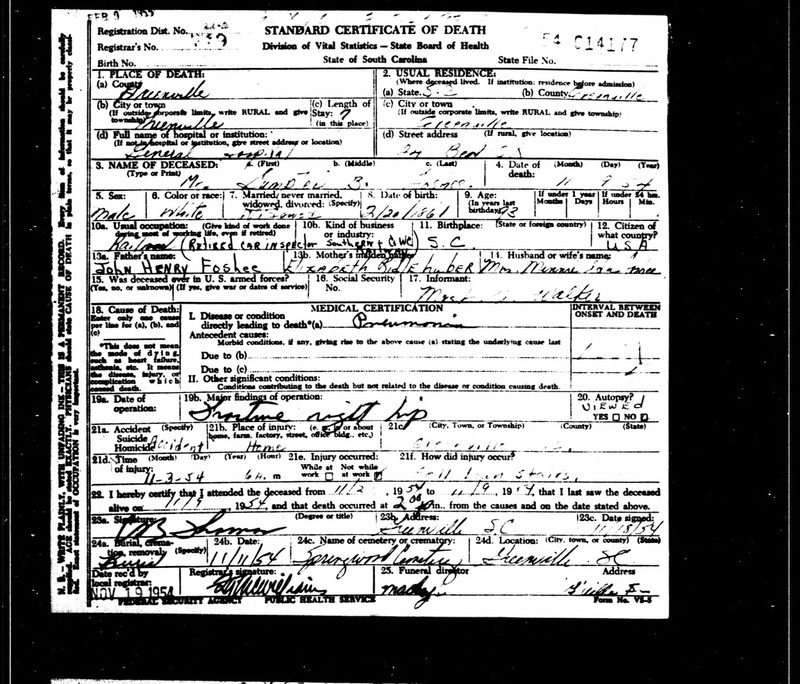 According to the death certificate, Emily's father was a Boyd and her mother was...a Martin? The name is unclear, and might be something else. But even if she isn't Elizabeth Ridlehuber, could she still be a woman who married one of Elizabeth Foshee King's brothers? In the next posting, we'll look for the early life of Emily Boyd Foshee.